Back in March, I argued that the Civil Liability for Nuclear Damage Bill was a stupid idea. Two recent events make me rethink that position. After careful consideration, I have come to the conclusion that word stupid may not strong enough to describe this bill. Consider what we've learned from the radioactive Cobalt 60 which was sold by to a West Delhi scrap market, and which killed at least one trader and exposed many more to unsafe levels of radiation. Yes, Delhi University should get a large part of this blame--if we can't trust universities to take care of their radioactive waste, then it's hard to imagine who we can trust. But the Cobalt 60 tragedy also revealed the utter incompetence of the Atomic Energy Regulatory Board (AERB) which is charged with regulating nuclear installations and equipment. It is the job of the AERB to make sure that accidents like this don't happen. Unfortunately, recent investigations suggest that accidents are the rule, rather than the exception when it comes to the disposal of radioactive material--which means "accident" may not be the right word to use--I'd suggest "negligence" as a place to start, but that also may not be strong enough. Worst of all, AERB conducted a laughable total of 110 inspections in the 62,000 plus installations under its charge last financial year. AERB rarely responds to urgent requests from laboratories about final disposal of radioactive material. Nor does it have sound advice to offer them. 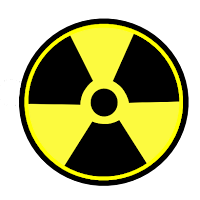 Many scientists who handle radioactive material – and I have interviewed several from three institutes – complain that the AERB routinely ignores requests for guidance on storage and disposal. Often, inquirers are told to dump the material, “informally”, of course. Given that, it should come as no surprise that the recent Cobalt 60 incident was not the first of it's kind. In another article in Frontline this month, we learn that shiploads full of recycled Indian steel have been rejected abroad for being radioactive. And we've even exported recycled steel that resulted in radioactive French elevator buttons! If we are careless enough to export radioactive steel, one has to wonder about the condition of our domestic steel. This may well be of many factors that led the Times of India to recently say, "India may truly be on the verge of a cancer epidemic." What does the AERB's incompetence have to do with the Civil Liability for Nuclear Damage Bill? For one thing, under the Nuclear Liability Bill, the AERB would continue to be responsible for regulating nuclear facilities; and as we have seen, they are not doing a very good job at that. (For more on the ineptitude of the AERB and the Department of Atomic Energy, read this article by Praful Bidwai--it is chilling stuff.) Not only that, under the Nuclear Liability Bill, the AERB would be would be charged with determining whether a nuclear accident has occurred or not. Scary stuff. It should be clear that it makes no sense to go ahead with this bill--or with an expansion of nuclear power at all--until we have a regulatory body capable of ...regulating. The other huge problem with the Nuclear Liability Bill is that it caps liability at ridiculously low levels. You can read about those levels here, or in many other places. This clause was apparently required by US multinationals, who want to avoid liability in the event they sell us faulty nuclear equipment. The liability issue is not new. But the huge oil leak at British Petroleum's (BP) off shore oil rig in the US should give us pause for two reasons. The BP leak reminds us that the cost of major industrial accidents--like Chernobyl, Bhopal, and Exxon Valdez--can be huge. It is clear that the BP leak has already caused billions of dollars in economic damage--not to mention wildlife habitats that may never recover. Major nuclear accidents are potentially just as expensive--and let's not forget that radiation sticks along a lot longer than oil slicks. Frontline reports that BP did not install expensive backup safety equipment on this rig partly because the US regulators--operating under rules set up by Bush and Cheney--said it wasn't necessary. That goes back to weak regulation. Of course limiting liability also encourages companies to take more risks, because they know in the worst case they'll be bailed out. Yes, weak regulators and limited liability are two good reasons why the Nuclear Liability Bill is a disaster waiting to happen. The PM is pushing it hard this week--and he's making a big mistake. Let's stop it while we can! Sign this online petition, if you haven't already. And while you are at it, sign this one from Greenpeace!